This topic contains 43 replies, has 15 voices, and was last updated by Dabrudda 2 months ago. Before anyone gets offended, I tried to buy legit smoothieboards. I understand there is some open source beef going on in the smoothie world. For me I might be able to buy a single smoothieboard but if I want to be able to offer them as a bundle option, I need a bunch of boards. I have emailed the US supplier many times over the last few months. So I bought an SBase v1.3. I have no idea the difference between the v1.2 and the v1.3 I can only assume it is the quick fixes of the v1.2 added in and someone renamed it but not MKS. -The board is very easy from my perspective I don’t have to assemble anything (unless you count inserting a micro SD). I don’t have to manually adjust pots. -This would also make the power supplies easier for me to deal with. -The full graphic LCD from the shop works (although the plugs have to be inserted the wrong way in the jacks). -The standard stepper plugs are a bad fit, pulling the white plug housings off the board makes them fit much better. -Smoothieware is easy enough to configure. I will not say it is easier than marlin, not even a little bit. It can be much more easily customized in some ways but the polish is not there like it is in marlin, and I think repetier firmware is even more polished than marlin. -I understand that these processors are more powerful but for what we do it doesn’t matter. -All the same settings as marlin really, no game changers in my book. -It does have some direct settings for spindles and other external components, marlin/ramps does as well but smoothie makes it easier. If anyone want to give it a try, I will attach my bare bones config for the MPCNC. I have not fully tested this cutting anything yet but it all works as well as the LCD. Anyone think I am missing something? Cool boards and software, hope to offer them as a bundle option soon. So the SBase is a clone of Smoothieboard? Looks like a decent upgrade from the RAMPS. I plan on upgrading one of my 3D printers from RAMPS to a Smoothieboard at some point. Not really a clone they made some changes. I think mostly for the better, but they did take off the extra power port and made the single a better connection. I wouldn’t really call it an upgrade, looks like all the math based motion is actually a little behind marlin. Only better if you have a fast delta and need faster calculations. Other than that there is not much difference except the price. I have been using the SBase for my MPCNC and am relatively satisfied with it.. There’s some weirdness with EstlCam, but Fusion 360 has an official Smoothieware postprocessor (make sure to comment out the G28 calls if you don’t have endstops!). Being able to create slave steppers means I didn’t have to do any fancy wiring. After having fried a couple stepper drivers in the past, I *really* like the ability to set the current in software. 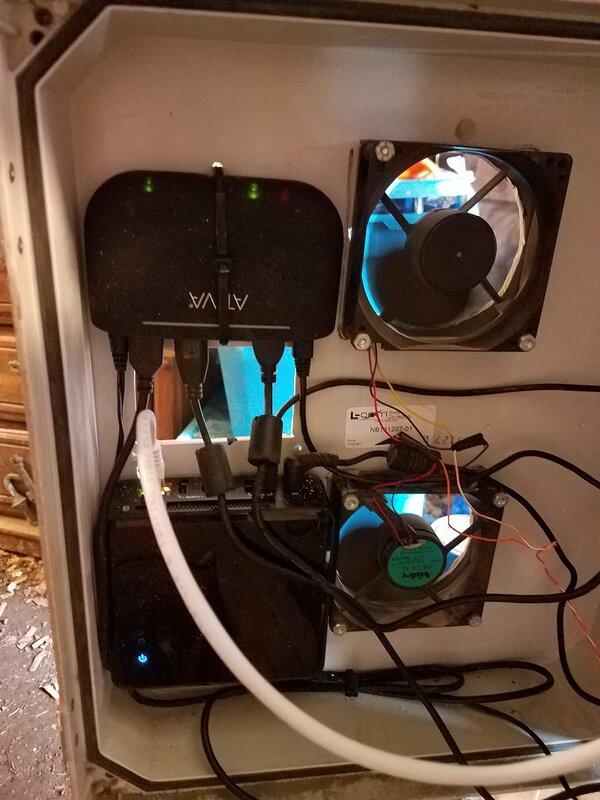 Ok so its been a while, all winter but its sprospring now and temps mild in my workshed, but i have rebuilt me mpcnc and put it on wheels and build up a nice setup with mini network rack and cat5 punch down panel and it looks real nice. Went to wire up everything to my ramps and ZAP!! Cooked another one. Had wire crossed on the 12v output to extruder. So i began rounding up my megas and ramps and i quickly discovered that I HAVE AN OBSESSION WITH THE MPCNC. 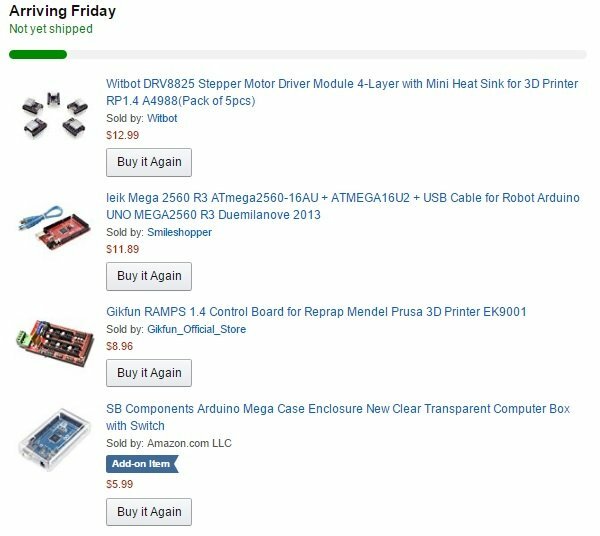 I have 6 cooked mega and 5 toasted ramps board, and 4 sets of lcd kits!!! None of which will come back to life. I have read a little up on the smoothie boards, mostly in this forum and from comparing buying a new mega, new ramps and new drv8825s and then comparing that to the $65 buck for and smoothieboard that has everything in one board, has integrated sdcard reader, network port, lcd interface integrated single power connection, integrated drv8825s and several other pluses AND fusion 360 processor I think i am going to go that route. Question: Most if my pile of dead boards is cause by the seemingly over sensitivity of the arduino ramps combo. Are these boards more OOPS forgiving as well? mouse pointer is poised to click order……. 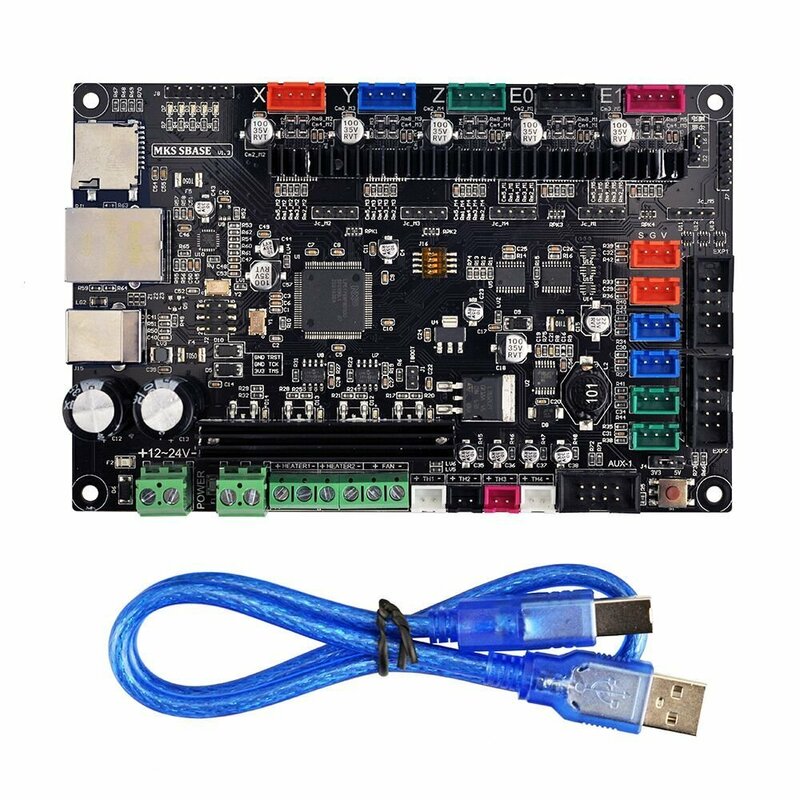 I am also looking at a SainSmart 2-in-1 3D Printer Mainboard Controller Panel for RepRap Arduino, Combination of Mega2560 R3 and Ramps 1.4. With screw terminals instead of the dupont connects , which i loathe. Have to purchase the drv8825 seperate, but still…..screw terminals!! Which do you guys think is best?? Make one mistake and you have to replace it all. Ramps you can just replace a single part. 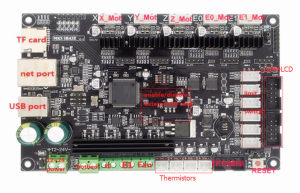 Ok, I decided to take the tried and true method and go the cheaper router with a new cheap mega and ramps path and make sure all of my new cabling and connections are correct and then maybe this summer I will try the smoothieboard alternative. Just have to be more careful and get my bifocals upgraded and take it slow. 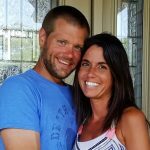 Has anyone seen this (http://www.panucatt.com/Re_ARM_for_RAMPS_p/ra1768.htm%EF%BB%BF)? It is a drop in replacement for the Arduino Mega that the RAMPs uses. It uses the same firmware as the Smoothieboard. 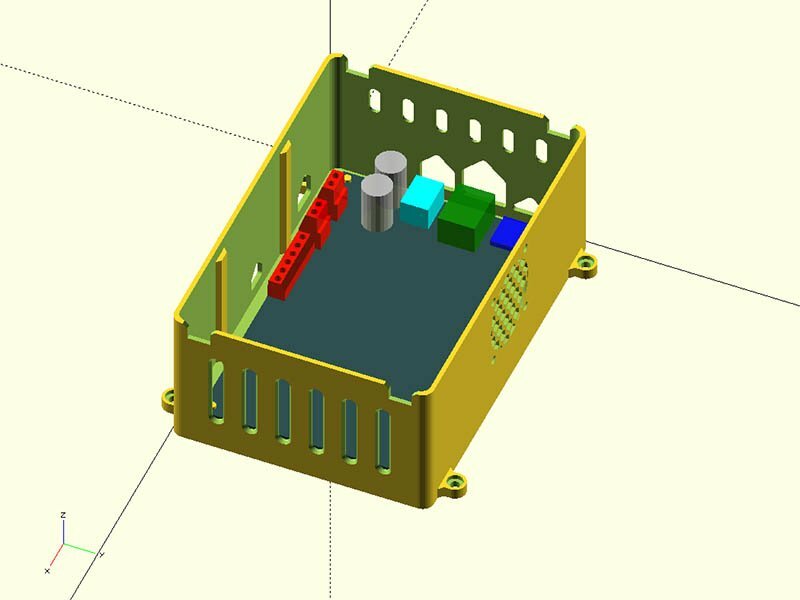 I have been considering this for one of my 3D printers and as a possible “add-on” to my MPCNC. I have one of the Re-ARM boards. I has been sitting on my shelf for weeks. I specifically got it to try with my MPCNC. I like smoothieware, and converted my 3d printer from Marlin to Smoothieware a few months ago. I seem to have less printing problems now Or I just took the time to configure smoothieware correctly instead of using the printers manufacture marlin settings. If I have time this weekend I will install the re-arm board onto the mpcnc…see what happens..
All I did was remove my ramps 1.4 board and plug into the Re-ARM. I lost Z control. 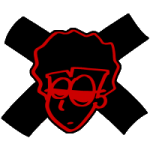 When manually moving Z, X would move instead. When I would move X nothing would move. Y seemed to be ok.
That is about all I had time for. I will trouble shoot when I have more time. Has anyone else tried yet? I have one, it sits on a shelf as well :/. It’s destined for my delta printer, one of these days. well the sainsmart 2 in 1 was just totally disappointing. I plugged it into my usb port – NO DRIVER – no standard driver. Had to hunt down the official FTDI drivers and install manually from inf files. That gave me a ‘VIRTUAL’ USB port. Reconnected to my computer and launched the Arduino IDE. Complied Marlin firmware fine but on upload it just set there uploading until it timed out. OVER AND OVER. So I had to hunt for hours for relevant documenation and when I did find documentation I CRINGED. Apparently the boards, which are supposed to be new, were launched with and ancient bootloader. This bootloader will not work with anything newer than Arduino IDE 1.0.4. The current version 1.8.4 will not work. Downloaded Arduino IDE 1.0.4 ZIP. Ran from unzipped folder. Attempted to compile Marlin and it refused to compiled because it did not support that OLD of a bootloader. By that time I was furious and BOXED IT UP AND SENT IT BACK TO AMAZON FOR A REFUND. Thanks for the config.zip vicious1!!! Will update on how good it works. I bought the Re-Arm from Panucatt specifically for this and am in the middle of setting it up with my MPCNC I just put together. I can’t imagine it’ll be difficult, just need a bit to get up to speed with Smoothieware. I’ll try to update when I get it going over the next week or so. Well mine is doing JUST AWESOME. 15 HOURS OF SOLUD DIMENSIONALLY ACCURATE WORRY FREE printing!!! One thing that I just discovered was the motor connections on the board are different from the ramps. Why did they change this connection from the Ramps when that is usually what people are upgrading from? I saw earlier in this thread that Ryan just pulled the plastic casings off the SBase board & maybe that is all I need to do. I am also going to put a fuse in line once I do decide on a board to use & probably using this fuse idea. Yes. same here. I have a pile of ramps and arduinos. I was able to just push my dupont connectors into the jst connectors and it seems to be working fine. I tried to pull the jst plastic adapters from the board but they seems to be in position fairly well and I was worried I would damage the board so I was able to just push them into position. The fuse idea sounds like a good idea. Be sure to update us on how that works out. I went ahead & ordered the MKS Sbase board that you gave a link to on Amazon. Since Ryan has a config file for the 32bit now &you having good luck with, it seems like a good choice. Well mine is still going strong!! I had to change my settings back to beta steps back 200. So the original config.txt that allted has in this thread is a good starting point. I think youll enjoy the board. Once have everything wired up its pretty much set it and leave it. Sounds good. I have a few more questions if you don’t mind answering them. I am still planning to put a fuse on the 12volt line. Do you know what amp fuse I should use? I am not running a heatbed or extruder off it. 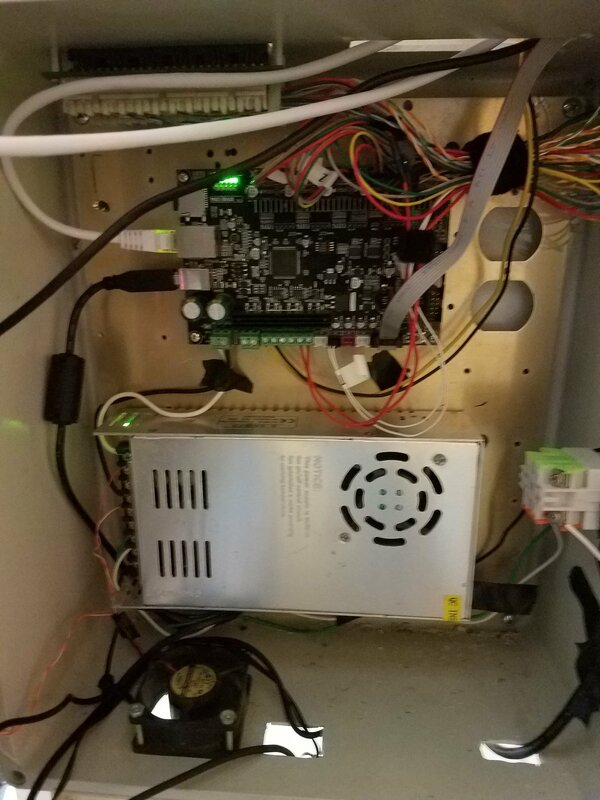 I am only connecting the motors & endstops. From looking at that config file, should be only 4.5amps for the motors, so maybe a 5amp or 7.5amp fuse. Are you using x & y endstops? I might have to change the wiring on those. Do you have a photo of yours all wired up? The last question is there a resistor plug required on the hotend thermistor connection? 3. The last question is there a resistor plug required on the hotend thermistor connection? – I dont know. I purchase my hotend from the vicious1 shop MK8 already built and have been using the same one for over a year and half without a single problem. 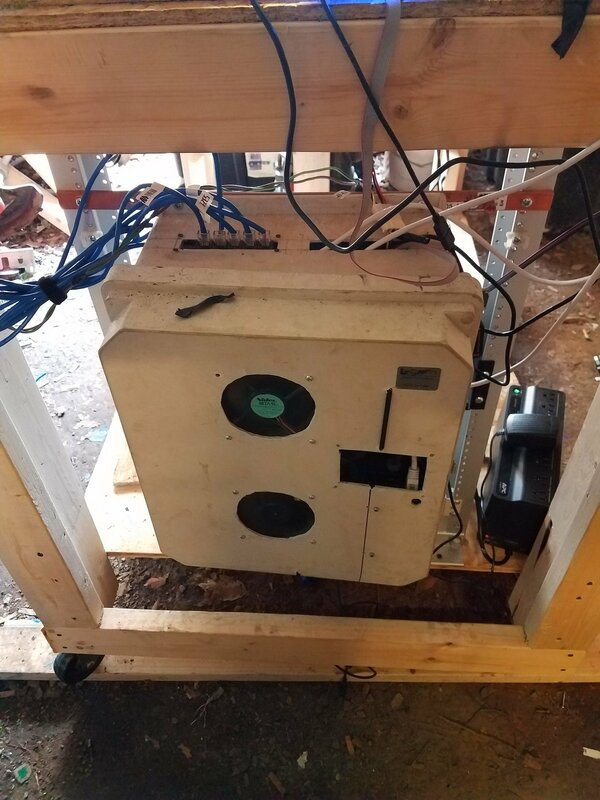 I have images of the smoothie board wired up inside my enclosure _ perpetually a WIP. I have my cables punched down on a cat5 patch panel and have allowed for significant excess, I plan on building a better box. I have everything housed in the same enclosure. MKS Base 1.3, usb hub, power supply, 3 12v cooling fans, panic switch from vicious1 shop and my mini windows 10 PC. Thanks for all the info. I like the way you have all your electronics in one box. I might have to eventually do something like that. In the mean while, I started designing a case to put my MKS Sbase board in for now. I used a design I found on thingiverse as a starting point. I printed this one – http://www.thingiverse.com/thing:1917224 – it turned out ‘ok’ I should have printed the front with supports and had to sand a little. but everything fits inside perfectly. I received my MKS SBASE board yesterday. This board looks a lot neater than any of the arduino boards I have bought. I started fine tuning my case design to make sure the dimensions work. I will probably print it tomorrow if I do not think of anything else to change. I used http://www.thingiverse.com/thing:1256179 as a starting point & copied the design into openscad & made a lot of the dimensions variable. I did a test print with the mounting bumps & they fit perfectly. 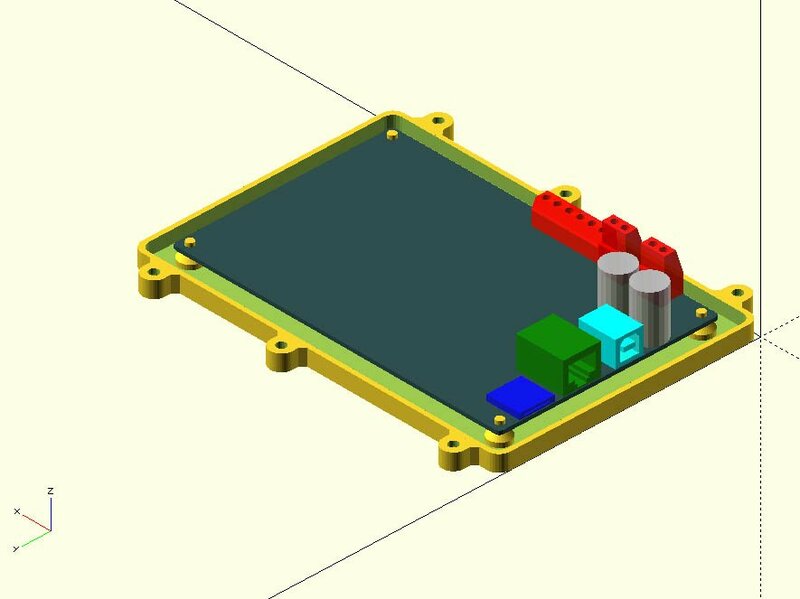 I made a rough 3d model of the board adding the components on the board I needed to check for location & size. Seems like these MKS boards are a little different between venders. 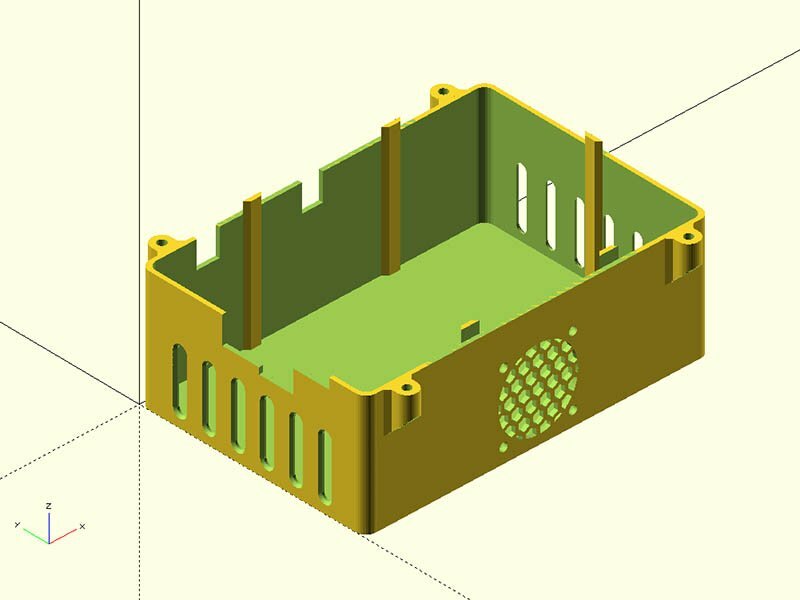 I added holes which should be a good size for the network, USB, Power & Fan holes & made them with no overhangs. I also made the walls 2mm thick with a couple of reinforcing Ribs since I made it thinner than the 5mm original. I also added mounting holes on the outside to mount to the shelf under my CNC if I need to. I am still contemplating redoing this design to make a short base & essentially make this the cover. 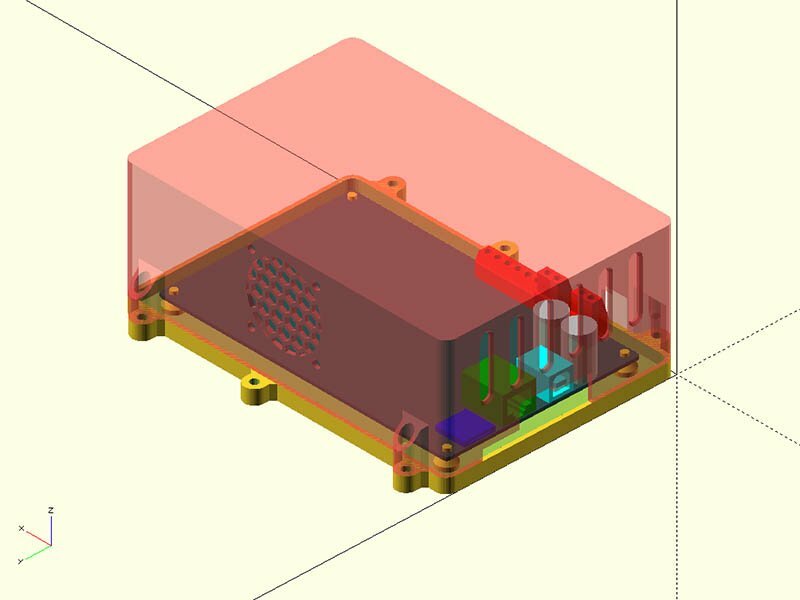 That would make the bottom openings simpler, something like this raspberry case design http://www.thingiverse.com/thing:795786. Here is what this MKS SBASE case currently looks like. Well that definately looks better. I looked on thingiverse for a case for the MKS BASE and didn’t find anything close to as good as your design. I am on the lookout for an old server case that I can use to put everything in it and mount it to my network rack. one with slide out rails would be even more awesome. Where are you located James? I wish I had known I scrapped about 35 blades the other day.. I may have others around. I decided to make the base the shorter part & make the top cover the taller print. I printed the base tonight. The top is probably going to take 8.5 to 9 hours to print. I have 4 outside mounting pads to connect the top & bottom together with screws & 2 mounting pads to mount it to the wood shelf under the MPCNC. I extended the reinforcing ribs to hold the 2 parts together, so I may not need to screw the 2 parts together. I am in small town of livingston tn. I have about finished my enclosure for this board after making one last change to it. I am now looking at the couple of jumpers on the board. This page seems have a good writeup on setting this board up. 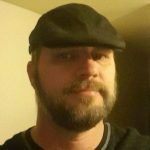 http://www.instructables.com/id/Configuring-MKS-Sbase-V12-32-bit-Controller-Basics/. Since this has the DRV8825 drivers on board, should I set the jumper J3 to 1/32. Also, do I need to change the Jumper J4 from 3V3 to 5V? That jumper seems to be related to the limit switches. I may not hook them up initially, but the switches I am using are mechanical limit switches.